LOVE "Choice" Grade Oranges 20lbs. 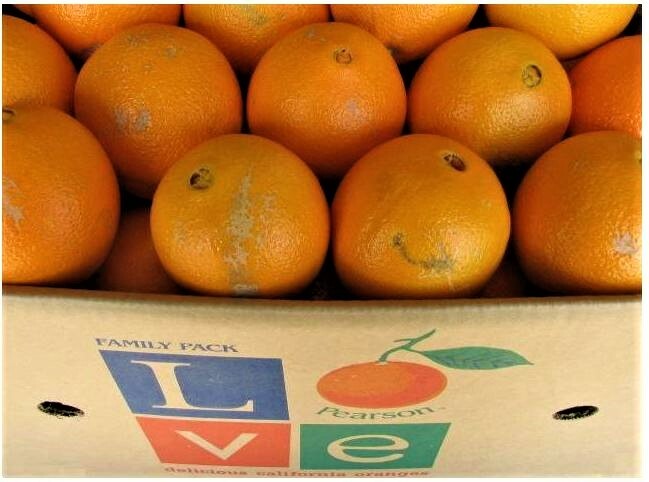 Each 20 pound box of LOVE Choice Oranges, contain only fresh, deliciously sweet tasting, oranges of different sizes, some with varying "character marks". Grown in the California sun, raised with caring hands and irrigated with deep underground well water, our oranges are easily backed by our 100% Pearson Ranch Satisfaction Guarantee!